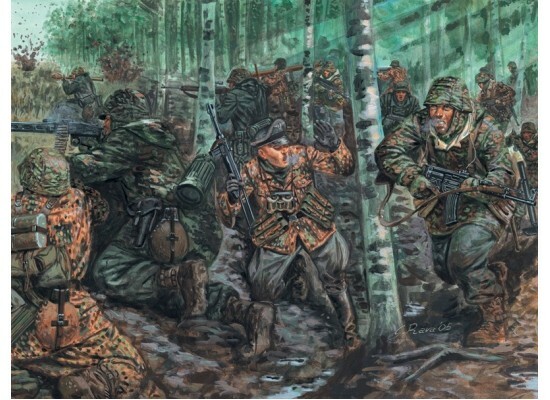 On 16th December, 1944, the German forces moved through the forests of the Ardennes, in Belgium, to attach the First U.S. Army. 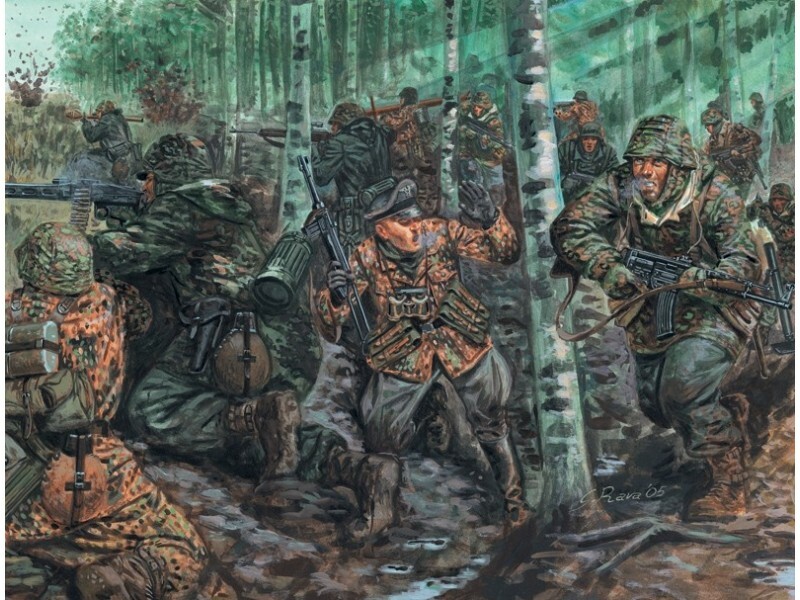 This was the Wehrmacht's last offensive on the western front before the final surrender in 1945. The “Wacht am Rhein” plan envisaged, on the part of General Von Rundstedt , the use of many elite units of Wehrmacht and of Waffen SS. The climax of the offensive was the siege of Bastogne, on December 21st, 1944. The town was defended by the 101st Airborne Division. The models in this kit are equipped with the innovative Sturmgewehr 44 which can be considered the precursor of today's assault rifles.